When it comes to fishing there is the oft-repeated mantra from many environmentalists that big is bad and small is good. Much more sustainable and better for society, they argue, to have small-scale artisanal fishing boats working our fishing grounds and fewer large trawlers. A notion, perhaps, with some initial appeal, but on close examination, not one that stands up to scrutiny. The Scottish mackerel and herring (pelagic) fleet, which today consists of 22 large vessels, is a particular focus of criticism because the sector is concentrated in the hands of a relatively small number of fishermen. It is, however, worth considering how this vitally important and sustainable sector to the Scottish industry evolved in such a way, because if it hadn’t, Scotland would today be left with a ‘cottage industry’ mackerel and herring fleet, completely dominated and out-competed by our northern European neighbours. The first real catalyst for change came with the closure of the herring fishery in 1977 because of the collapse of the stocks. As a result, onshore herring processing factories diversified into other species and market outlets for the fish were lost, many of them for good. However, necessity is the mother of invention and boats previously reliant on herring also managed to diversify during this period, and for the first-time mackerel began to gain significant importance as a target species, with Scottish boats landing much of their catch into Eastern bloc factory ships anchored at places such as Ullapool and Lerwick. This was enough to sustain Scottish boats right through the 1980s (herring was also landed to klondykers when the fishery reopened in 1983) and up until the mid-1990s, although the prices for both types of fish was always low. However, the collapse of the Soviet bloc and the removal of fuel subsidy payments for these highly inefficient klondykers quickly led to their demise. At about the same time this was happening, the Norwegians were investing heavily in their pelagic fleet and onshore processing facilities to supply emerging new markets for high quality mackerel and herring in the Far East and other parts of the world. Scottish mackerel and herring catchers, and the wider Scottish processing sector, had no choice, either up their game to compete in these new markets or get left behind. So, at considerable financial risk, fishing families invested in new vessels, and the fleet also streamlined, amalgamating vessel licenses and their associated fixed quota allocations into fewer, but more efficient vessels. 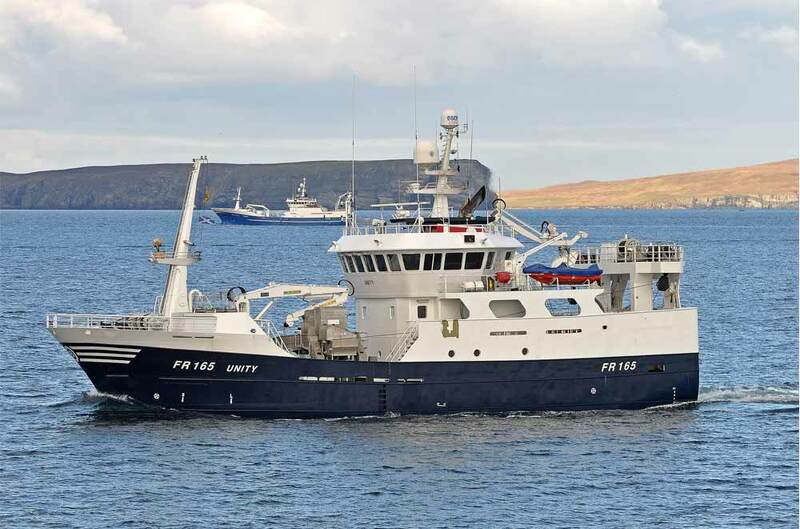 The result is that today, the Scottish pelagic fleet, which is operated by families with a fishing lineage of several generations, is one that matches any other in northern Europe in terms of modernity, safety and efficiency. It is an economic process that has gone on in virtually every other industry, rationalisation and improvement in order to compete in a modern economy. Indeed, our mackerel and herring fishermen are continually renewing their vessels to this day, and such investment in modern equipment is incredibly important, especially in terms of fish handling technology to ensure the perishable catch is quickly refrigerated and thus of the highest quality when landed. There is the safety element too. Mackerel and herring shoals are mostly located in deep water many miles from the coast where it would be too dangerous for small craft to venture. In the case of mackerel, much of this fishing takes place in the winter where only a large vessel could ever safely harvest the fish. Indeed, when mackerel shoals changed their migratory pattern in 1984, moving further offshore to the north and west of the Hebrides, many of the mackerel boats at the time didn’t have the capability to venture so far offshore to the work the fishery. But can big vessels fish as sustainably as smaller ones? Well, yes, they can, and our herring and mackerel fisheries are among the most sustainable around, with stocks in a relatively healthy state and the fishery carefully regulated and controlled. Furthermore, these large vessels work a clean fishery where there is virtually no by-catch of unwanted fish. But our environmentally-friendly credentials go even further when compared to other methods of protein production and a recent study found that the carbon footprint of the Shetland mackerel trawl fishery is much lower compared to land-based meat production. Mackerel catching is, therefore, a very efficient, environmentally-friendly means of primary food production. One mustn’t forget the economic contribution either. Each Scottish pelagic boat carries double the crew of a typical whitefish vessel (who are also local to their community), and that the pelagic industry supports a large onshore Scottish processing sector, which handles somewhere in the region of 150,000 tonnes of premium mackerel and herring each year, worth approximately £150m in sales. During the peak season, around 2,000 people are employed in factories based mainly in the north-east of Scotland and Shetland, creating a major economic boost to our fragile coastal communities. It is also worth pointing out that some Scottish pelagic fishermen have invested into this onshore processing infrastructure to help secure its growth and competitiveness. Here is another thought. Around 17% of the world’s food protein consumption comes from fish, but the UN Food & Agricultural Organisation (FAO) notes that in a world where more than 800 million continue to suffer from chronic malnourishment, and where the global population is expected to grow by another 2 billion to reach 9.6 billion people by 2050, we must meet the huge challenge of feeding our planet while safeguarding its natural resources for future generations. The Scottish pelagic sector has a role in addressing this challenge and already a fair proportion of our pelagic catch is exported to markets such as West Africa. Our fisheries, if sustainably managed, can play an important contribution in sustainably filling the world’s food requirements – and that means employing a mix of both big and small boats. In other words, the key to sustainable fishing lies in a balanced structure, with each segment of the fleet complementing the other, whilst at the same time never forgetting our environmental responsibilities.